Buying or renting a new home is incredibly exciting! There’s nothing like getting into your new space and deciding what is going to go where or what color your walls will be. Your home decor gives you the opportunity to share who you are with your guests, but it also lets you tell others what you care about. Decorating your home is an excellent opportunity to explore an environmentally friendly lifestyle that promotes beauty and positivity. 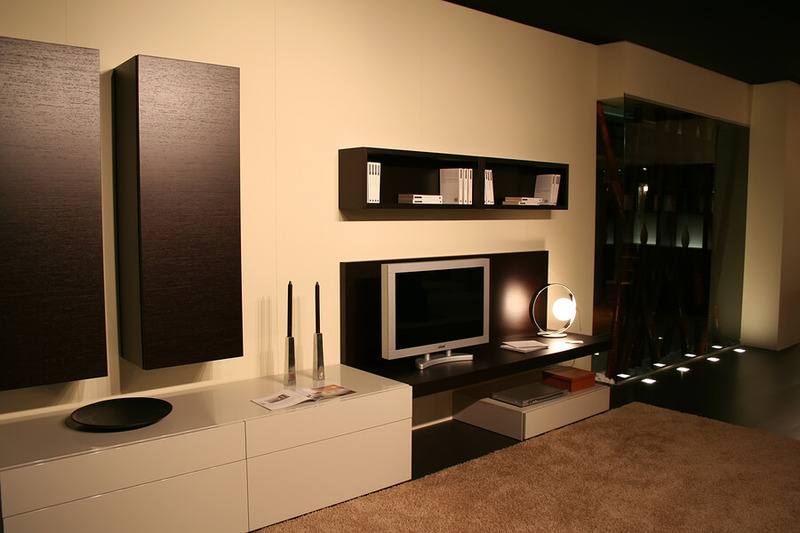 If you care about living a sustainable lifestyle, then you should let your art, furniture, and home materials show that. There are some excellent ways to help save resources while creating a beautiful and functional space. So, you found the perfect two bedroom apartment, and you want it to be filled with joy, happiness, and beauty, does this mean purchasing new products from the ‘big box store’? Not at all. Buying from thrift stores, furniture recycling shops, and resale shops are a great way to find unique pieces without contributing to the wasted water and chemicals that go into producing new products. A lot of newer furniture and home decor are manufactured using harmful plastics and resins while many pieces you can find second-hand are sturdy, high-quality wood. Buying second hand also reduces the off-gas you can expect from new pieces. The same is true when you are done loving your gently used bookcase or side table. Try donating them instead of tossing them out. This will reduce landfill waste and support a community of avid second-hand shoppers. One home decor element that is often overlooked, but will add beauty to any design is lighting. Utilizing natural light not only reduces the dollars you put into your energy bill, but it also helps the planet. Natural light also benefits for your eyesight. When it comes to using the power of the sun to light your room, you want to think about which windows will allow the light to pour in, but be consistent. During winter and summer, you want to be careful about using east and west facing windows. These can let in too much heat or cold, and end up increasing your heating and cooling bills. Try opening the curtains on your southeast and southwest windows for less intense and more ambient sunlight. On the subject of curtains, use energy-efficient curtains, and replace old windows and doors with more eco-friendly, energy-efficient choices when you can. Fresh windows can help let more light in while keeping the cold or heat out. Track your energy use after making changes to see how much electricity and money you are saving. Whether you’re buying curtains, candles, or shelves, check your materials before checking out. While the price tag of natural, organics goods may seem higher, these products often last longer, which makes them a better value. And if you’re going for that ‘Eco-chic’ aesthetic, natural materials are often more timeless and attractive. When buying throw pillows, bedding, and curtains, try to find cotton and wool, instead of synthetic materials like polyester. While cotton and wool both use quite a bit of water in their production process, polyester takes more refining and is derived from petroleum. Cotton is also biodegradable. And when it some to furniture, choose real, sustainable woods over particle board or press board. Real wood lasts a lifetime. Or longer, in fact. This is because wood is stronger and can be modified as styles change. You can easily customize a wood entry table by adding hooks for your dog’s leash or your keys. Particleboard has a tendency to lose its structural integrity over time, and the veneer is often plastic or laminate. When it comes to smaller items like candles, picture frames, and knick-knacks, avoid using Volatile Organic Compounds. These chemicals will off-gas and evaporate into your space and reduce the quality of your air. While you can’t 100% avoid them, but you can always try. To avoid VOCs choose quality cleaners, adhesives, and paints that are labeled as organic. You can also find VOCs in air fresheners and furniture. Try to buy natural, green cleaners when you can to reduce the amount of VOCs you’re exposed to on a daily basis. One of the most exciting trends when it comes to decorating your home is using plants. Succulents, draping plants, and indoor veggie gardens are gracing the home decor magazines now more than ever! Greening your space with plants has profound benefits. Houseplants add color and contrast while creating fresh oxygen and removing VOCs. Plants also help your mental state and thought process. They can sharpen your focus while reducing stress. A houseplant can also help absorb excess noise to create a more serene environment. Try finding fun recycled pots for your new plants. Wall gardens are also a great way to add fresh, homegrown greens to your life and diet. When it comes to filling your space with things you love, remember you can always freshen up your existing design by adding a bit of paint or new knobs to the furniture you already love. If you’re planning on shopping for some new items, remember to check secondhand shops first and to always examine the materials. You can have a fresh, beautiful, sustainable home that brings you joy and improves your mindset. Think green and think sunlight. And if you’re building new, consider Environmentally Friendly Home Construction Materials.